I’m a huge Nancy Ajram fan so when Arab Idol started broadcasting and she was in the jury, I was really happy. Ever since the Lebanese number one’s smash hit Ah wa noss in 2004, I’ve forced people to perform singalong to her songs in parties. In Arab Idol 2013 young boys and girls from all over the Arab World compete about the prestigous award, and traditional music blend with modern pop. A young girl performs a song to her hometown Agadir, Morocco in a wailing voice; a Tunisian boy sings accompanied by traditional bells. What I really like with Arab Idol is not only Nancy Ajram, it’s the kind and polite way the judges treat the participants. 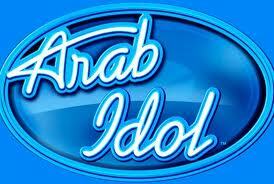 Many talent shows makes a point out of humiliating the participants – Arab Idol is not one of them. I also like how the show makes people from all of the MIddle East unite, despite ongoing political conflicts. Music has a way of bringing people together, and Arab Idol takes the much used concept of talent shows to a new and higher level. Fantastic Moroccan singer, but I was particularly intrigued by the video of Nancy Ajram. A mix of old fashioned village life with slightly revealing outfit and flirtation plus a charming exuberance. Most of what I hear about the Middle East is conflict, conflict, conflict, it’s refreshing to read about something else. Although I didn’t understand what was being sung, it sounded hauntingly beautiful to me. Sometimes when I watch some shows, I wonder if the sarcastic barb isn’t a bit overboard. It seems to have become a staple now… I may be wrong, but isn’t respect a big part of the Arab culture? I’m glad to hear that they haven’t let foreign influence push it out the window.